The show I curated "New Work by Merrilee Challiss and Margaret Oomen" at Craftland Gallery opened. Merrilee flew in from Alabama and we all got to hang out. The show looks amazing, the work is stunning and I'm glad my hunch for showing those two together was correct. Read more about the experience here. Read about Margaret donating her sale proceeds to Haiti on her blog HERE. I got to do some putting around Providence with Merrilee before I dropped her at the airport before my screening later that evening. Deb Dormody recommended we swing by Wolf E. Myrow. 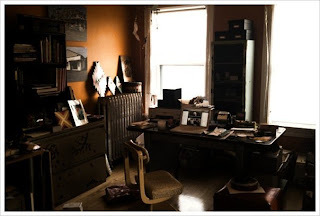 If you are curious about a magic place filled with amazing things read more about it here. Later on in the evening I had my screening at Craftland, 2 sold out shows of 40! I got a chance to finally see Ferdinand in person, have some amazing tea, eat an incredible dinner then we all zipped over to Space Gallery for the screening. 150 people came out for the event. It was awesome. I have a group of friends who have decided to make Belfast their home. I was there for the wedding ceremony last year and my second time back was just as amazing, just much chillier. One of the best parts of touring with my movie is I get to stay in touch with old friends, this is the perfect example. So breakfast was had then I headed over to Waterfall Arts for my Sunday matinee. Waterfall Arts is this rad space with studios and a gallery. 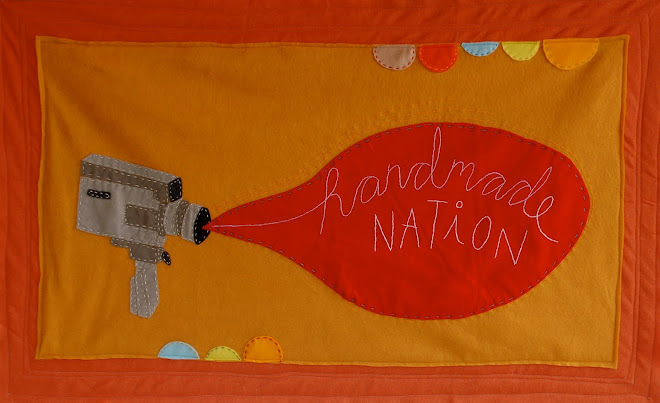 I was excited that 50 people came out on a gray Sunday afternoon to watch Handmade Nation. I drove for three hours after the screening since I was due in Boston the next day and there was supposed to be a big ol' snow storm. There was. Lucky for me I was only an hour away from Boston. I was extra super excited because I was on my way to meet up with the lovely Meighan O'Toole who does the art blog My Love For You. Meighan and I had never met, but we have had many online discussions so both of us were really excited. She was sponsoring the Boston Screening that was happening at 4th Wall Gallery that night. Needless to say Meighan & I hit it off super hard, so hard in fact I didn't take one single picture of her since we didn't stop talking the entire time. 60+ peeps came out to 4th Wall for the Boston screening that night, it was awesome. So tired from hanging out for a week straight, I had lunch with my uncle Hal & flew home to Milwaukee. Thanks everyone who came out last week. It's much appreciated. Mucho much. First off, remember when Cortney Heimerl (co-author of Handmade Nation the book) was preggers last year and couldn't finish the last few dates of the book tour? 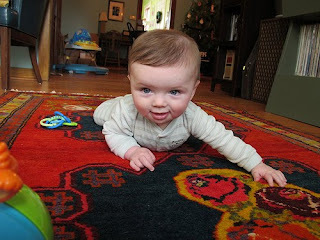 Well, check out Abraham Edward at his glorious 7 months and how flipping cute he is. I'm a huge fan. #1. 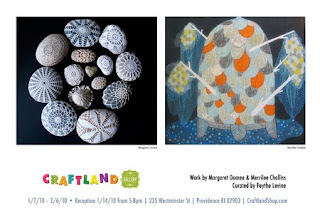 I curated a very exciting show at Craftland Shop with two amazing women, MerrileeChalliss & Margaret Oomen AND I get to be there for the opening AND Merrilee will be there from Birmingham, AL where she lives and runs the bangin' spot Bottletree. I haven't seen Merrliee since she had a show at my gallery a few years ago and it is going to be FUN. So, if you know anyone in Providence, tell them to come to the show on Thursday, all the information is HERE. #2. I get to hang out with Deb Dormody who is one of the coordinators at Craftland, and also the talent behind IF'N Books + Marks. Her dude Alec is also a treat to get to see. Actually Providence is full of magic, it's one of my favorite places in the United States. I'm so hyped for the screening on Friday there. #3. I am hanging out in Portland Maine for the first time ever. #4. I get to go to Belfast to see my friends new baby Olai and do a screening at the same time. Last time I was in Belfast I went to this amazing wedding. #5. On Monday in Boston I FINALLY get to hang out with Meighan O' Toole from My Love For You, who organized the event there. That will be a treat. I'll do my best to update you from the road....Then it will almost be February. Holy crap. Back to work. 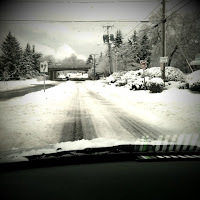 Everything is a little backed up around here, I took some for reals time off the past two weeks. Had an epic dinner party at my house, took a trip to NY and ate a whole lot of amazing food. Yesterday & today just sifting through emails and seeing where I left off. I'm feeling really good about this trip East coming up, so many good people to visit in Boston MA, Providence RI and the state of Maine. I am crossing my fingers that the weather agrees with my travel plans and will update you all with new projects soon.